Domain Registration is one of the first steps to get your website done and with Savit Interactive you dont need to worry on how and what to register. We not only help you register your domain but also suggest you with alternatives and help you finalize on the best possible option. You can very well say that with years of experience in the industry we are virtually giving you domain registration consultancy for free with our services. We try and help you get the maximum returns of this very simple but yet important process of Internet Marketing. 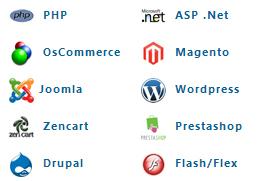 We are domain reseller for .com, .net, .org, .info, .biz, .co.in, .in, .co .mobi and other 50 domain extension. Although there are many domain resellers but with Savit, you can always look forward to our consultancy in helping you decide the next big brand of the world wide web.